As a pastor yourself, you understand financial stress in your life and the lives of your congregation. You also know how unique your family budget is. For years I tried to budget like the everyone else. Then one day I had an epiphany. Since my financial needs as a pastor are unique my budget is unique. The results of speaking with multiple accountants and starting to budget like an ordained minister are what you’ll find below and in the free resource. In the U.S. we have this wonderful blessing known as the minister’s housing allowance. If utilized correctly a pastor can pay some of the lowest federal taxes in America. However, it also makes income taxes uniquely difficult. If you’re newly ordained it’s more important to track your expenses now than ever before. 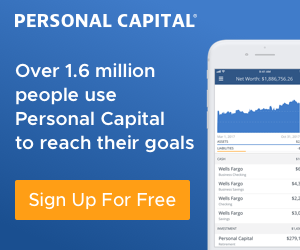 I hire a professional for my tax planning, subscribe to You Need A Budget (YNAB) for tracking expenses, and use Personal Capital’s free site to track my net worth. I’ve read a lot of advice on budget categories over the years. One day I realized a budget for my personal finances should be just that – personal. For that reason I’ve tailored my personal household budget to fit the life of a pastor. What you’ll see below are my current household budget categories. I’ve come to this point after a lot of trial and error. Hope this is helpful as you and your family set and hit goals. Please feel free to use and adjust this for you needs. Disclaimer: I am not a certified public accountant and I recommend you speak with yours about this list before relying on it completely for your taxes. Read my full site disclaimer. This master category needs to be first. If it’s not prioritized it won’t happen. It should go without saying, but yes, even if you’re on staff at your church you should tithe. Again, this master category needs to be near the top of your budget so it doesn’t get skipped. If you’re in a position where saving and investing is currently unattainable, be sure to prioritize food, shelter, clothing and transportation over this. Take care of your family today before tomorrow. If you are ready to invest, these are my recommendations. Some families combine household supplies with groceries. I say only food. Time to get specific to the pastor’s household budget. Only ordained ministers need this master category. By consolidating all housing allowance expenses in one master category compiling data for your accountant will be a breeze come tax season. Here we cover any and every expense that qualifies for the Minister’s Housing Allowance. Again, I’m not a CPA. Please double check these with your accountant. Unfortunately the minister’s housing allowance does have limitations. Your pastor’s household budget categories need to reflect them in order to simplify tax season. One of those limitations is toilet paper. We have a toiletries category to cover all consumables from the bathroom…and diapers. This is for any further professional growth. Local college, online, etc. This category is for any non-ministry work a pastor is doing with the intent of making money. A lot of ministers are bi-vocational, which means their pastor’s household budget may require additional income sources. My assumption here is that early on in the process when the side hustle isn’t generating much revenue you’ll be funding it out of your personal family checking. Budgeting on a regular basis takes time commitment. There is no doubt about that. The time commitment lessens as you get better at it, and the results are completely worth it. A pastor’s household budget takes extra work. I turn to my favorite software. I’ve mentioned You Need A Budget (YNAB) a couple times in this article. It truly is the best budgeting software I’ve ever experienced. YNAB’s methods of giving every dollar a job as it comes in rather than as a predicted income, and their method of living on last month’s income have both been invaluable for our finances. Uh-huh moments for me. I highly recommend you give their free 34 day trial a try. If it’s not for you no big deal. Maybe a spreadsheet, other software or pen and paper are your preferred methods. As long as you’re budgeting you’re doing well. One of the initial steps if you’d like to start generously sharing God’s blessings is to take control of your money. Budgeting is how you do that. Enjoy the process! Hope this has been helpful. Any questions or suggestions or experiences you’d like to share?